With decades of experience in the design, execution and commissioning of billion and hundred-million dollar capital projects, Gary Williams has a proven record of delivering value to clients. His experience spans the power, mining, refining, petrochemical and telecommunications industries. He has managed companies, and a wide range of Engineering, Procurement and Construction (EPC) projects for some of the world’s largest project management firms, including Bechtel, Bantrel, SNC-Lavalin, AMEC Foster Wheeler, Ausenco and AREVA, leading teams of hundreds of people. An outstanding strategic planner and trainer, Gary is an expert in aligning projects with client’s business objectives and the realities of current circumstances. 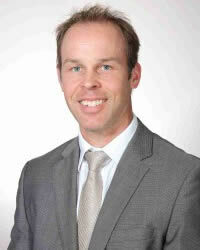 Gareth started his career as a site engineer with the Bechtel Corporation in 1980. 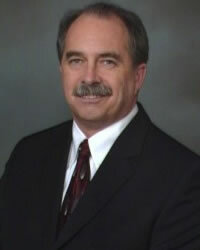 During more than 21 years with the organization, he gained experience in virtually every aspect of project management – acting as a construction field engineer, a materials manager, a civil/structural engineering manager, a business manager, and finally project managing numerous hundred-million dollar projects. Gareth earned his Bachelor of Science in Civil Engineering from Cornell University and his Masters of Engineering in Structural Engineering from Rice University. 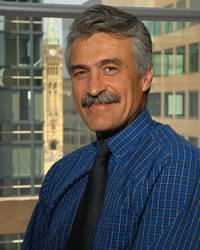 One of North America’s premier labour relations experts, Tony Fanelli has more than 30 years of experience in labour relations, human resources, recruitment, labour strategy, construction management and safety processes across Canada and the US, on multi-million and billion dollar projects. He has also led sensitive negotiations with the First Nations for a variety of owners, paving the way for successful project agreements and delivery. Tony’s experience spans a broad range of sectors including nuclear, hydroelectric, fossil, solar and wind power generation, as well as manufacturing, oil refineries, upgraders, LNG, pipelines, petro-chemical and steel mills. Tony brings a practical, hands-on approach to leadership, labour relations (LR) and construction management. He has deep expertise administering collective agreements; and has negotiated project and maintenance agreements with construction/maintenance building trades both provincially and nationally in Canada, and the US. Tony has established corporate labour relations programs and procedures for a wide range of projects, and has managed the human resources function at regional and corporate levels. He has provided advice to executive management and owners on all matters relating to LR including collective bargaining, grievance resolution, safety policy & procedures, regulations and legislative matters and project governance. Positions Tony has held throughout his career include Vice President, Manager of Labour Relations, Bantrel Constructors; Director of Labour Services for SNC-Lavalin, Montreal; Operations Manager for BFI Constructors; and Vice President, Employee Relations & Safety for Comstock Canada. Set up corporate governance and administered the Labour Relations Program on the Keeyask Project in Gillum, Manitoba for Manitoba Hydro. Tony graduated with a BA in Social Science from the University of Western Ontario in London, Ontario; went on to University of Windsor for a number of business courses; and received his Financial Certificate from York University. Krishan Mittal has more than 35 years of global experience in developing and executing multi-billion-dollar brownfield & grassroots capital projects in the infrastructure, power, refinery & chemical and telecom industries for both private corporations and government agencies. He is a seasoned professional with thorough knowledge of the global Engineering, Procurement, and Construction business; and deep experience in state-of-the-art project delivery models; and increasing clients’ governance and compliance requirements. 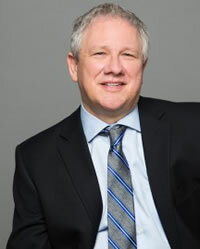 His broad spectrum of professional experience includes the customization and implementation of integrated and scalable project management controls programs, Process Mapping and Gap Analysis, Project Quality and Execution Audits, Due Diligence and Validation of Estimates, Benchmarking and KPIs, alignment of project drivers and processes to stakeholders’ standards and governance. Krishan is skilled in providing data analysis, early warning of threats to project viability, and maintaining objectivity in executive reporting. He combines well-honed communication, negotiation, and mentoring skills with the demonstrated ability to build cohesive and motivated teams, and to achieve optimum use of resources. His project controls expertise includes: project planning / scheduling, cash-flow and risk management, cost management, value engineering, change management, and progress and performance control. He is recognized by his peers, senior management, and clients for rapid problem solving, professionalism, commitment, and integrity. A certified Six-Sigma Champion, Krishan delivers the best performance under challenging situations. Nermina has more than 30 years of experience providing senior project management services for projects around the world from small to mega-sized, working with such world-renowned organizations as Bechtel, Bantrel, SNC Lavalin, and others. Gemini, the world’s largest (600 MW) and most complex offshore wind project in the North Sea. 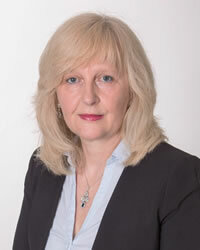 She was the major shareholder representative for Northland Power. Avalon Rare Metals Thor Lake/ Nechalacho Feasibility Study in NWT and Louisiana. She was the project manager responsible for the overall study execution for rare earth project consisting of five process plants, located at three sites. Cliffs Natural Resources, Cliffs Chromite Pre-Feasibility Study in the northwestern Ontario Ring of Fire. Responsible for organizational and technical aspects of the pre-feasibility study including gap analysis, value engineering compliance with stage gate process. Reliance Industries Limited, Jamnagar Export Refinery, India. As the engineering manager, she was responsible for multidisciplinary design of two aromatics units -- part of an expansion project that created the largest refinery complex in the world. Nermina has deep experience in providing front-end project development, detailed design, construction, commissioning and start-up services. Her expert knowledge of multidisciplinary processes and her strong leadership skills help to ensure top team performance and successful projects. Nermina is a Professional Engineer with a B.Sc. in Electrical Engineering, Major in Automation and Electronics. Fred Bjork started his career in the Swedish Navy. 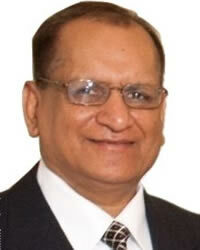 He is a senior engineering professional and business leader with 25 years of experience. During his career, Fred has held positions as Division Manager, Operations Manager, Senior Project Manager and Engineer working on Ports, Terminals, Infrastructure, Harbour and Marine projects around the world. He has worked across a broad range of market sectors including: Oil and Gas, Bulk and Liquids Material Handling, Containers, Break-bulk, Industrial, Ferry and Cruise Ship Terminals, Marine and Coastal Structures, Urban Waterfront Structures, among others. Building multi-disciplinary high-performance teams, and delivering exceptional levels of service along with practical and cost effective solutions for clients. Planning and implementing strategic market focused organizational changes. Managing operations, resources, and change management processes, to maximize both internal organizational value and client value. Developing and executing implementation strategies for both new and existing port and marine terminal projects. Project management, oversight and monitoring. Bechtel – PNW LNG Project, Prince Rupert, Canada, FEED Study for Marine Works. BHP Billiton – Potash Port Project, Port of Vancouver, WA, USA, Review of Concept and Preliminary Development, Capex and Opex Estimates. Associated British Ports (ABP), Deutsche Bank, UK – Due Diligence Study for Securitization of ABP’s 21 Port Facilities. Vancouver Wharves / CN Rail, Canada, Due Diligence Study in Support of Selling the Marine Terminal. Prince Rupert Port Authority, Canada, Fairview Container Terminal, Phase 1 Wharf Contract, Tendering and Contract Management Services. Dubai Ports World – Fraser Richmond Container Terminal, Canada – Feasibility Study for a 1,250,000 TEU per annum container terminal. Fred is a Professional Engineer registered in the Province of British Columbia, Canada. He holds a Master of Science in Civil Engineering degree from Lulea University of Technology in Sweden. With 30+ years of experience Mike has been instrumental in developing and introducing new technological innovations to the North American industrial market, many of which have become standard practice today. Working as an intermediary between the owner and the contractor, Mike has been instrumental in ensuring the successful implementation of new technology on numerous ground breaking projects. He has worked with industry-leading manufacturers such as Gantrex, Cavotec and Gottwald, and engineering firms such as Moffatt & Nichol, Ausenco (Sandwell) and Allnorth. Mike has a strong understanding of both the Canadian and U.S. industrial markets. With a reputation built on honesty and integrity Mike has developed a strong and loyal network across a broad spectrum of industries throughout Canada, the U.S. and Europe and is recognized as a ‘big picture’ strategic thinker. Mike has extensive experience in strategic partnerships and has the ability to build corporate relationships with customers and industry/market leaders. Mike holds a degree in Marketing from the British Columbia Institute of Technology.